Do you like these beautiful and funny animals? Perhaps your grandmother even has a pair of such funny pigs? They are very cheerful and active animals. Pigs run, jump, play, and do not mind to lie in a muddy puddle. And they also like to eat. It’s funny but acorns for them are as candy for girls. 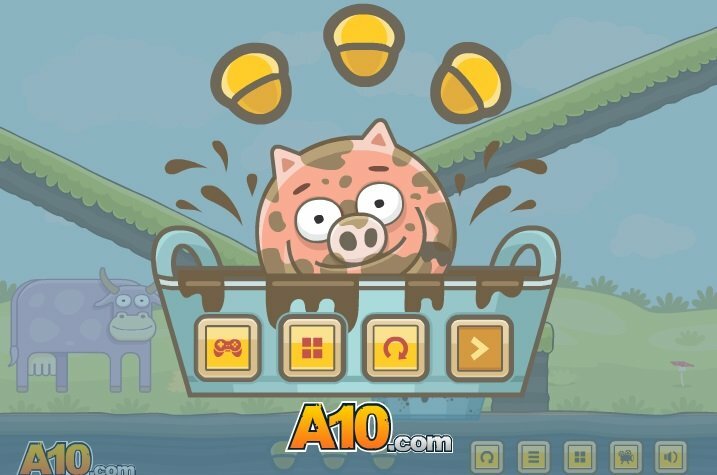 Help this pig to get to the puddle and eat all the acorns on the way. 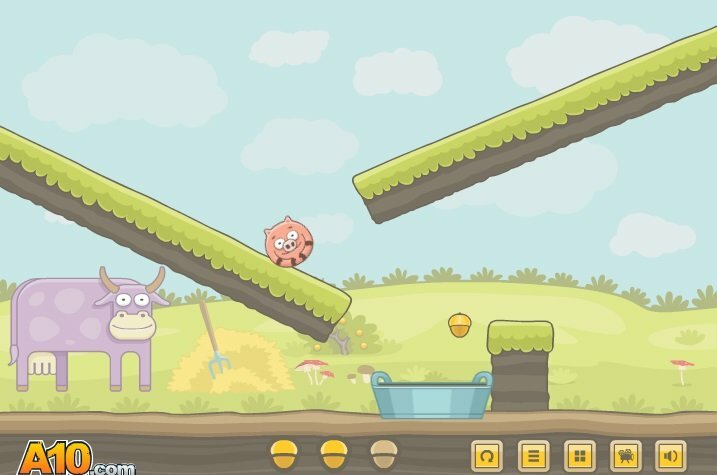 To do this, click with the mouse on the pig to make her become round and began to roll. 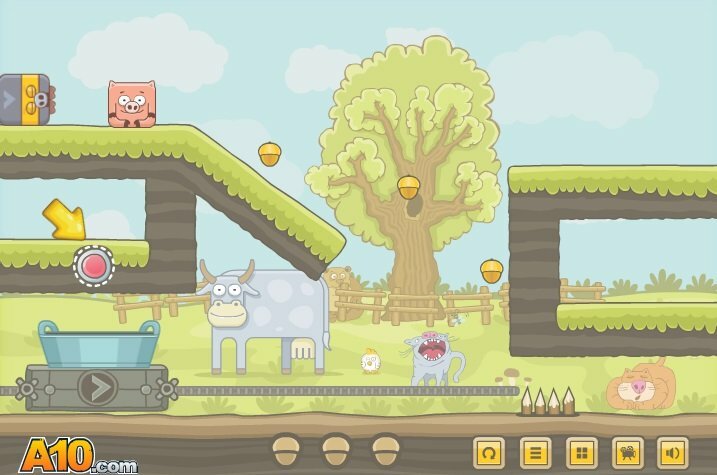 Sometimes you need to click on the box or levers to to make them earn an opportunity for the pig to get to the mud and have a lot of fun! Played: 21690. Added: 19-11-2014, 13:33. 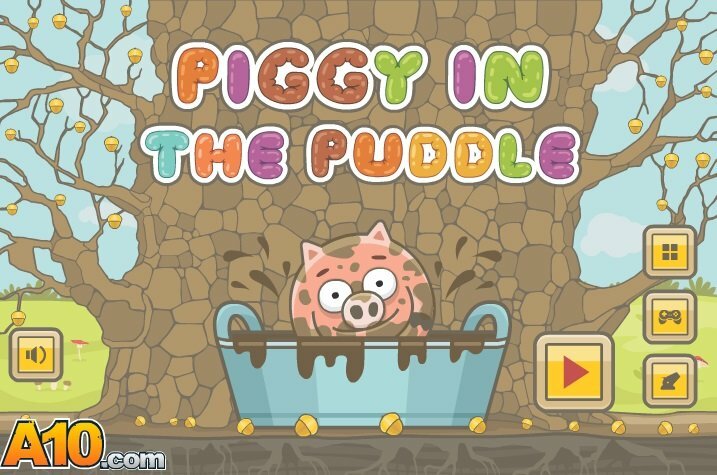 Piggy in the puddle game.